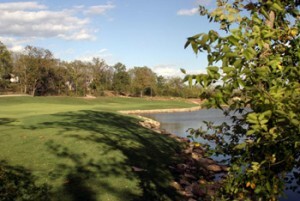 Falcon Valley Golf Course is the only championship length nine-hole golf course in the Kansas City area. Recently named by midwestgolfguide.com as the “the Finest Nine-Hole Layout in the State of Kansas” and “One of the Top 5 Nine-Hole Course’s in the Midwest…” We are the perfect place to play if you’re looking for a quick nine, a true test of golf, at an affordable price! Falcon Valley Golf Course has been recently re-rated by the United States Golf Association for our course and slope rating. We are confident that our nine hole layout will not only challenge your ability, but also provide you with a memorable experience. If you are looking for more than just golf, Falcon Valley is once again the place to be. After a round of golf come join us in the Pub At Falcon Valley. Golfworld recently rated us the 14th best nine-hole course in America!